(Newser) – Chipotle's chorizo burrito as diet food? If you read the description of the menu item, available since October, you certainly wouldn't think so: It packs chicken, pork sausage, rice, beans, and cheese into a tortilla. Except that same sign also said "300 calories." 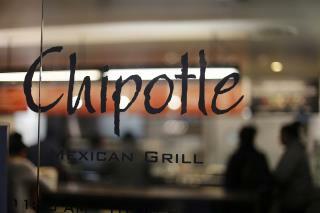 And so three customers who bought the burrito in Los Angeles this month are suing. As City News Service reports, one of the men behind the proposed class-action lawsuit brought in Los Angeles Superior Court ordered the menu item on Nov. 3 thinking it was a 300-calorie dish. David Desmond "felt excessively full and realized that the burrito couldn’t have been just 300 calories" after eating it, per the complaint. So what does being to full get you in damages. Chipotle should say the extra 700 calories were not included in the price. Free for ordering the chorizo. WOW! Those customers have a lot of time on their hands to do this! If you have a lot of free time you don't have much you have to do which results in an excess of time in which you can do whatever like a Lawsuit! There ya go ALL!